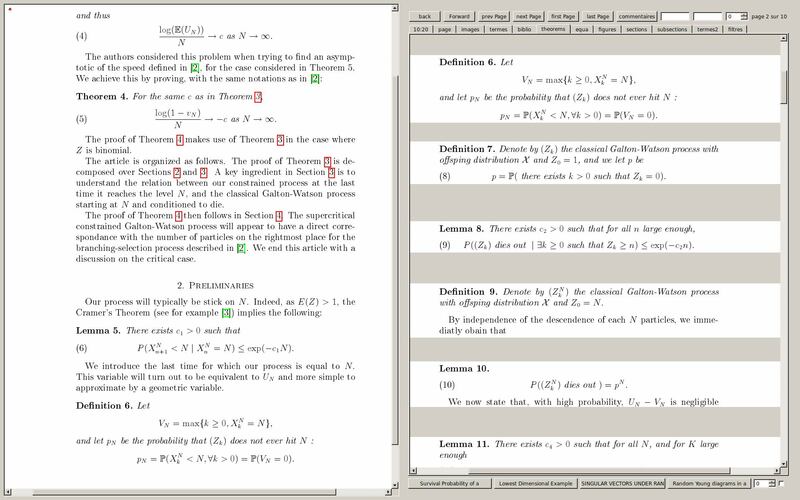 PdfArticle is a pdf viewer for mathematical articles (GNU/GPL v3). Its goal is to present for eah page the images of its references, such as bibliographies, theorems and equations. With the help of the last version MinGW cross compiling environment, I successfully compiled a Windows x86(32-bit) version. and have tested on Windows 64-bit, and please download here. P.S. If you want to download Linux version package (Debian/Ubuntu,Redhat,Mandriva) or source code, please visit here.